This winter caused complete havoc on my skin. I've been in search of the perfect facial care products for my spring/summer beauty routine. To get my skin back on track for this spring in beyond. Last year I suffered from adult acne. If you followed me on social media. You were a part of this journey with me. Finding products that would work on my skin hasn't been easy. I've been really selective about the products that I've been using and have been focusing on only all natural products and I've been amazed by my results. 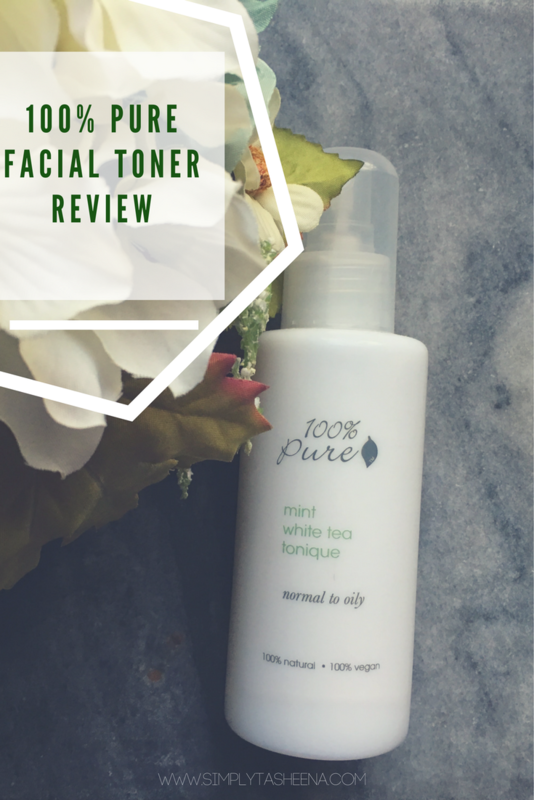 I've been on the hunt for the perfect all natural toner and I've found it. A facial mist toner is a mist that is applied to the skin on the face in order to cleanse the skin of any leftover residue from facial cleansers, while at the same time working to temporarily shrink the appearance of pores. A facial toner mist is typically applied to the skin daily during your skin care routine prior to moisturizing, but after cleansing the face. 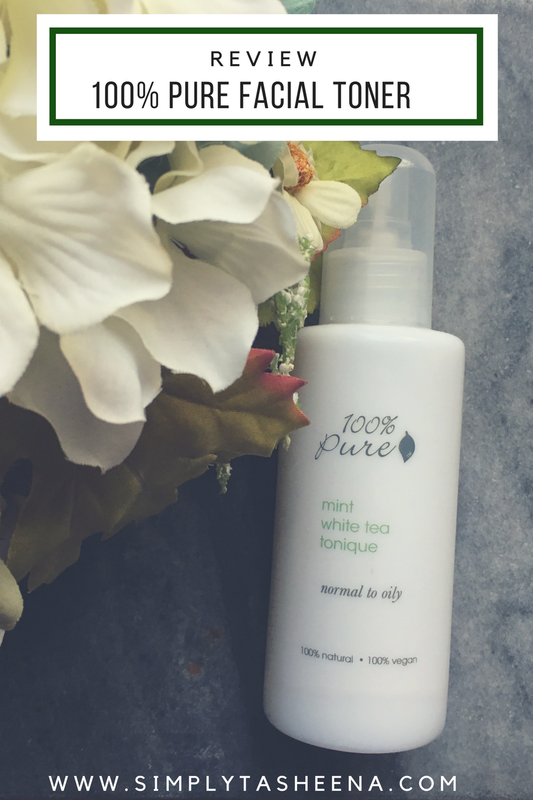 I was graciously was provided with the opportunity to review 100% Pure in Collaboration with Natural Healthy Concepts. I love everything about this facial toner. One of my favorite key points of this product is that it was formulated without any harsh ingredients. This product is 100% natural and vegan. This antioxidant facial toner uses hyaluronic acid which acts as a delivery system for thirsty skin cells. I love that this product didn't leave my skin feeling sticky or dry. It actually felt really moisturized on the coldest of winter days. Not only does it leave my skin feeling amazing. It has such a relaxing scent that makes you feel as if you're at a spa treatment. 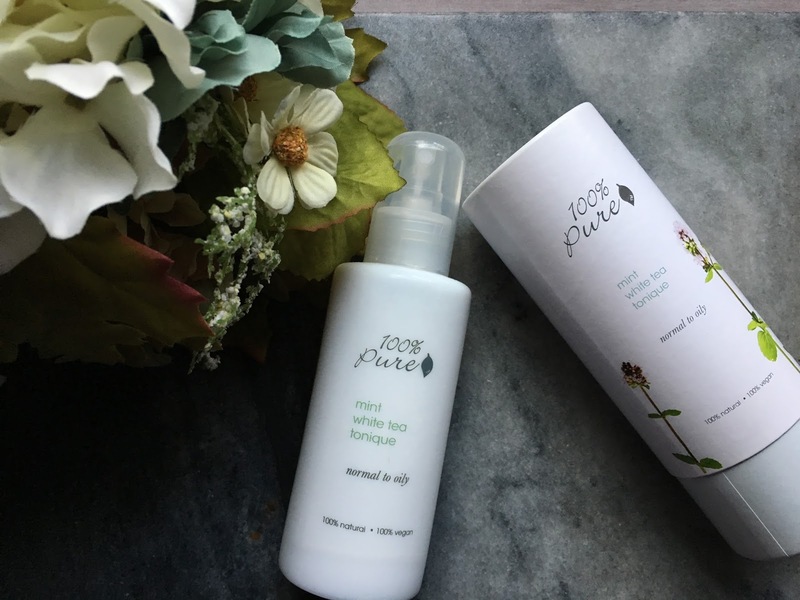 100% Pure is a must-have for your beauty routine. Natural Healthy Concepts (NHC) is a vitamin and supplement website with a blog that features articles by a certified nutritionist on the most important topics in the natural health industry, such as essential oils, turmeric, and collagen. I'm totally obsessed with this 100% Pure facial toner and I can't wait to try other products at Natural Healthy Concepts . Their site is super easy to navigate and find the products that I'm looking for. 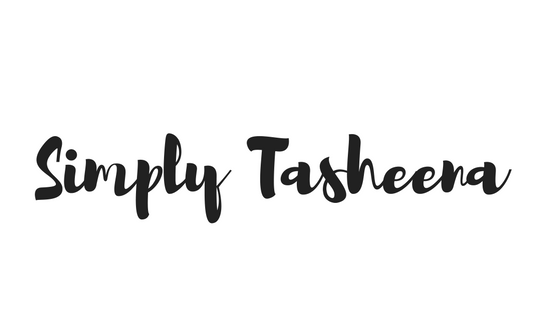 What I love most about Natural Healthy Concepts is that their number priority is customer care and they only sell natural products and did I mention free shipping on all orders?! When I received my order in the mail, it neatly packed and presented with care. I would defiantly recommend Natural Healthy Concepts to my friends and family. They have a huge selection of natural products from supplements to beauty, pretty much everything you would need for you and your family. I love 100% Pure products. I have to try this toner and site. I've never tried a facial mist. This one sounds like it would have a pleasant scent, which is important to me since it's in the face. Your skin looks amazing! I'll have to try this out. My skin could always use some help. A facial mist sounds amazing! I think with all the beaching we will be doing this summer that I need to check these products out. My skin could use something like this. I really like that it is 100% pure! Less toxins in my body the happier I am. I don't know that I have ever used a mist toner. Do you spray it on and leave it or wipe it off? This sounds like a great toner. I love using my toner every night. I think it's an often-forgotten step of skincare that's still important. I have never heard of this brand but it sounds like something I would love!! I need to check it out for myself! Thanks! Wow this did so well on your face. I need to get some of this stuff. Now this cream is the real deal. Seeing what it did for you really convinced me. I would be looking for a facial mist toner, I never thought of that. I love these tips. I've never heard of this brand. I'll have to look into it more. We are always looking for great new products to try. Thanks for sharing! I've tried different kinds of toners before and I can say that natural ones are the best for my skin. Less irritation and calming. I love to read posts about new products for me. I prefer to inform myself before I try something new. Thanks! I love to read product reviews as I am always open to try new products as well. I love how you explain the product and I also love that its natural. It maybe a new product to me but I would love to try this too and see for myself the results. I've been trying to switch to natural products because I think it's healthier for our skin. This brand sounds amazing. Thank you so much for this review!